Carla Weinstein is a lawyer by training, who has taken her enthusiasm for inquiry, analytics, research and creativity and applied it to the world of wellness. Her passion is mindfulness, where applied science meets contemplative practices. She’s the founder of The Drop In Project, an org that offers mindfulness training to corporations, individuals, new moms, parents and retirees. Next week, she’s hosting WOKE Parenting: A Mindful Approach. This workshop is designed to introduce the benefits of incorporating mindfulness techniques into your parenting. We chatted with Weinstein about the pressures that parents and kids face, and how we can cope and thrive. SDTC: In your mindfulness work with parents, what are the main issues they seem to be struggling with? CW: The issues are often age and developmentally specific, but also universal. They range from superficial day-to-day conflict–getting out the door, not listening, getting kids off screens, whining and tantrums, defiance–to larger/broader concerns, such as personality factors, power struggles, co-dependence, anxiety/stress, anger, and depressive moods/tendencies. What are some practical tweaks we can make in our daily lives that can make stressful moments with kids seem smoother? I love this question, because it is all about making it “seem” smoother: Perspective is critical and WOKE Parenting helps us to shift our perspective by becoming more aware of the way we approach our relationships with our children and the nature of that connection. Often we’re looking outward for solutions to distressing situations or conflict with our kids when the gaze should be inward: Where are our patterned thoughts, behaviours and actions getting in our way? Where are our preconceived notions, beliefs and agendas so rigid and ingrained that when our kids brush up against them we recoil or lash out? Some practical tweaks include checking in with our own emotions to see how we’re showing up in a given situation, not taking things personally (e.g., temper tantrums), letting go, being open, picking your battles and your moments…the list goes on. What are some stress-relieving tips you can suggest for parents who may not have a lot of time to themselves? For people without time, time management is a big one! Look at how you’re spending your time and prioritize, reconfigure, pull back. We have more time than we think. Many techniques of mindfulness don’t ask for more of your time but that you do what you’re doing already in a certain way–with attention, connection, adding intention and potentially ritual. Bringing the attention back to the moment is the muscle we’re flexing when we’re being mindful. So next time your child asks a question while you’re in the middle of something, stop what you’re doing, put down your phone, look them in the eye and really listen. Next time you take or win a hug from your kid, linger an extra few seconds and see if you can feel their heartbeat. Next time something happens that makes you or your child feel good, sit with that feeling, acknowledge it. I would also encourage busy parents to join the conversation–talk about it, read about it, write about it! Parenting can feel so isolating. There can be shame, frustration and guilt that surround interactions with our kids, and if we don’t air out these feelings, they fester. Why do you think so many parents are anxious/stressed nowadays? I think it’s really understandable, and I believe the reason is manifold. For one, while we may in fact be more collectively anxious/stressed than other generations of parents, we’re now growing the dialogue around mental health in a way we never did before, which is excellent. But certainly, we are triggered more. Studies show that the ping of a text message to our cellphones gives us a jolt of cortisol, so our bodies are physiologically activated more than we’d like. We’re facing an onslaught of information, distraction and constant change that can feel overwhelming. We are adaptive creatures, but frankly we’re not that comfortable with constant change. Finally, as parents, a lot of what was valued when we were young is being questioned as our kids are growing: sitting in a stiff chair in a classroom reciting times tables by rote in order to get to the next linear step on the road to traditionally defined achievement is out-dated. Yes to education, yes to hard work, but also yes to: what motivates my kid? What are they curious about? Can they think on their toes and connect the dots in a world that is throwing information at them at a furious pace? There’s a leap of faith in here that I see and feel, too! Why are you passionate about helping people parent more mindfully? I think that mindfulness is so incredibly empowering. We have the gift of metacognition–higher-order thinking skills that allow us to look at how we exist and move through the world–so we should learn to use it to be better! Taking time to learn and become more adept at knowing specifically what creates stress and anxiety in each of us will become critical for wellbeing. Mindfulness accentuates our ability to handle uncertainty and unpredictability in a way that will be necessary moving forward. Collectively, we model for our children how we want them to be in the world, so we need to be living this vision. It’s a process. 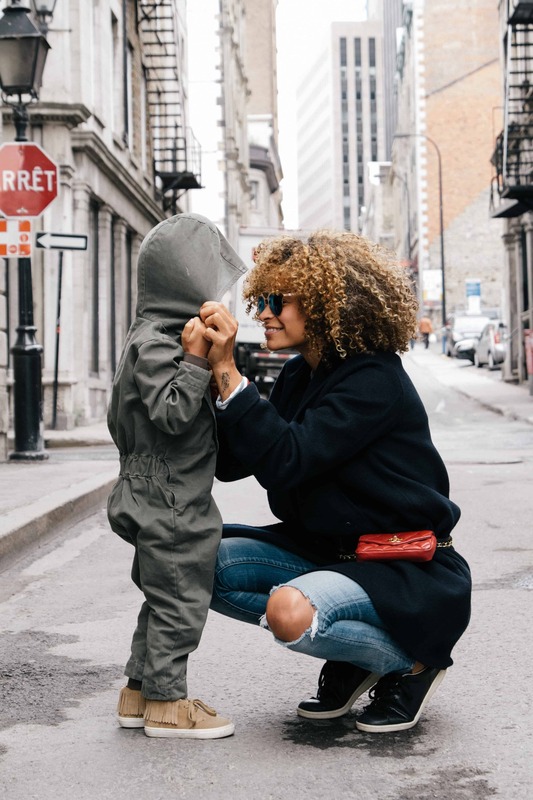 WOKE Parenting is about approaching your relationship for the long term and having the courage to be authentic and open, honest and real, vulnerable and resilient, so your kids can be, too. Register for WOKE Parenting: A Mindful Approach here. The workshop takes place on Wednesday, November 28 from 11:00 a.m. to 12:30 p.m. at The Workaround (2080 Danforth Ave).